Ensure your products and materials arrive on time and in one piece with flatbed trucking from CRS Logistics, Inc.
Our company meets all demands on any schedule throughout the lower 48 with help from our freight brokerage service. 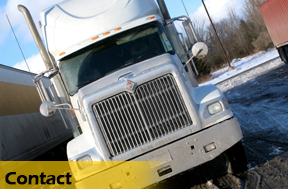 Make certain your cargo arrives safely and on schedule when you choose CRS Logistics, Inc. Our shipping company in Schnecksville, Pennsylvania, provides freight transportation services throughout the lower 48 states, by making use of 14 tractor units and 25 trailers. Most importantly, our well-mannered professionals always go the extra mile to ensure you receive the exceptional service you deserve. Contact us in Schnecksville, Pennsylvania, for fast shipping from courteous professionals.